Hello! It's Release Day at Taylored Expressions which means that all of the new stamps and dies are now available at the TE Store! 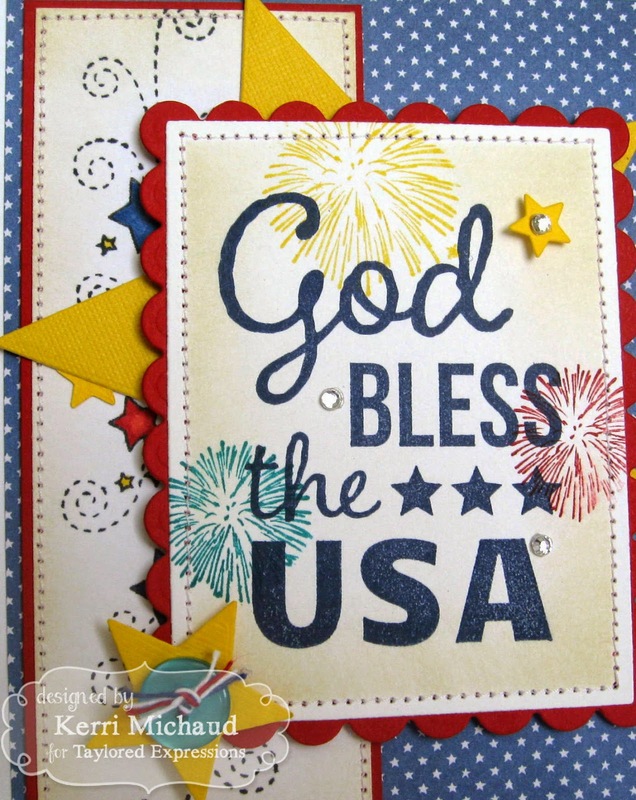 I have one last card to share with you today using several new stamp sets:) The sentiment is a new A La Carte stamp called Patriotic Prose - USA. 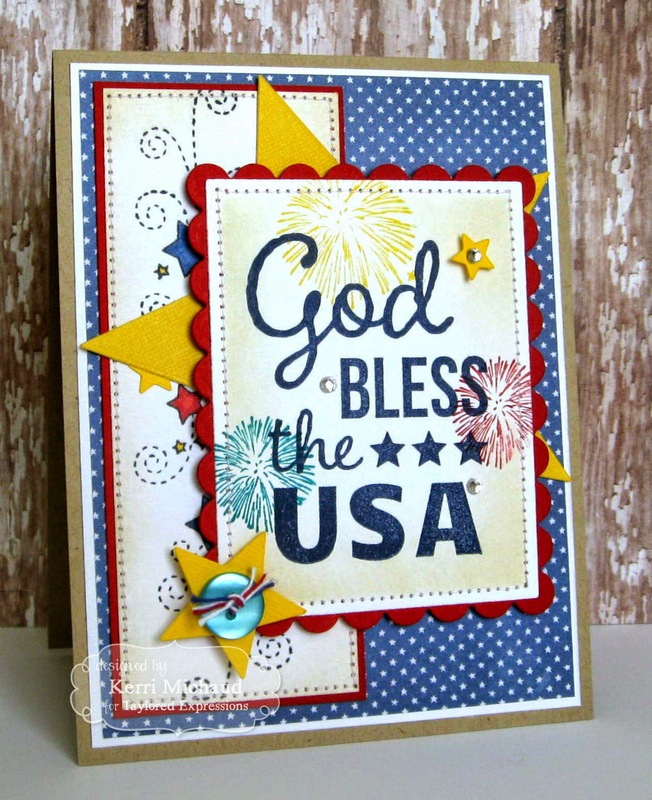 I stamped it with navy ink then added the fireworks from the new Light Up the Night stamp set. Finally for the side border image I used an image from Rockets Red Glare that I stamped with Memento Tuxedo Black and colored with Copics. I added various stars using the new Star Stacklets and some rhinestones for a little sparkle. I love how it came out! The dp is Pebbles Americana. Make sure you check out more inspirational projects from the rest of the Baker's Dozen and have fun shopping! Thanks for stopping by and have a fabulous day!